You would have eaten a yellow banana, but did you ever have a red banana? If you haven’t, you may not really be aware of the incredible benefits of red banana, and how better it is than its yellow cousin! But then, don’t worry; because you have come to the right place! 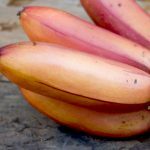 This post talks about the many red banana benefits! Would you like to know them? Go ahead and give a read! Red banana, also known as red dacca banana is a great source of fiber. Fiber or roughage is an indigestible carbohydrate obtained from plants. Fiber rich food is essential for regular bowel movements. People with chronic bowel issues such as constipation, indigestion or gas are recommended to have red bananas. One red banana contains 4 grams of fiber, which meets 16% of the daily prerequisite of fiber. Eating red banana can control your weight and reduce the chances of heart disease and type 2 diabetes. Red bananas are rich in potassium, which is essential for regular working of the body. Potassium prevents the formation of kidney stones, heart disease and cancer. It also helps in calcium retention that improves bone health. Children and elderly people should regularly eat red bananas. This is because children need more calcium than in adults for proper development of the bones and growth. On the other hand, aged people tend to lose calcium, as they grow older. Hence, people above the fifties should eat red bananas daily. Red banana is rich in Vitamin C, which is an antioxidant. Vitamin C gives protection against free radicals, thereby reducing the chances of cancer and heart attack. It also strengthens the immune system and metabolism. A single red banana contains 16% of the daily needed dose of Vitamin C. Vitamin C is highly important for the overall health and those who do not favour citrus fruits such as oranges and limes can get good amount of vitamin C from red banana. Red bananas contain fewer calories as compared to other fruits. So if you include red banana in your diet every day, you can fill up your stomach without consuming too many calories. This can be helpful to stay fresh and healthy throughout the day. A single banana contains only 90 calories, has high fiber content and is easily broken down. It does not contain any fat, so you can easily consume it even if you are overweight. The roughage present in it will not make you feel hungry and will rather make you feel satiated for long. Red bananas are rich in vitamins and anti-oxidants, which help in improving the haemoglobin count and the quality of the blood flowing in your body. Vitamin B-6 is essential for metabolism of protein and red blood cells. It is also essential for the formation of haemoglobin. It aids in the transformation of tryptophan to serotonin. It is required to manufacture antibodies and maintain a healthy immune system. It also retains the glucose level in your blood. One red banana can meet 20% of your daily need of Vitamin B-6. Vitamin B-6 deficiency leads to anaemia. So if you are suffering from anaemia, then you should consume 2 to 3 bananas every day to improve your RBC count. This will not only boost your immunity, but will also energize you. Sportspersons consume high amount of red bananas during intervals because they need an instant boost of energy, and red bananas can give instant energy. 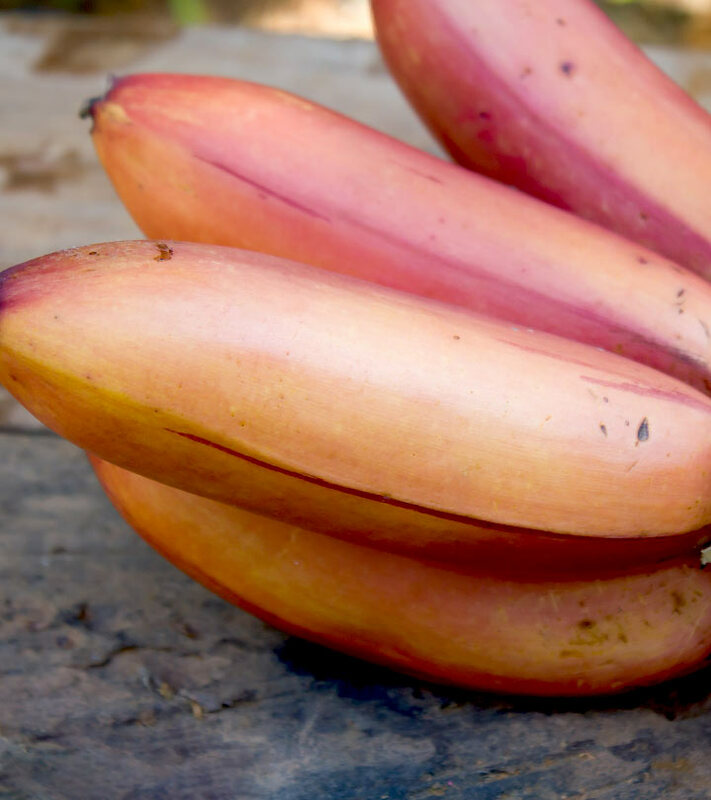 Red bananas can convert natural sugars into instant energy. If you give red bananas to your kids daily during breakfast, they can remain energized throughout the day. Even adults who get very less time to have a rich breakfast can consume one red banana in the morning, which will prevent lethargy. Bananas are also good for the brain, and so you should definitely make it an important part of your breakfast. Red bananas are filled with Vitamin C, B-6, potassium and magnesium that are helpful to deal with the after-effects of smoking cessation. The potassium and magnesium present in red banana helps the body to recover from sudden nicotine withdrawal. It battles with the side effects caused by nicotine removal while providing you with energy and fulfilment. Smoking cessation can cause various physical as well as psychological problems in you. In the initial few weeks, your body goes through many changes leading to stress, and sudden and strong cravings for nicotine. Under these conditions, you are not able to fulfil your desires for smoking, which leads to stress and anxiety again. You may also go through symptoms such as nausea, aggression, irritability, depression, lethargy, headaches and mood swings. This can be the most difficult phase for you as your body and brain both crave for smoking, but if you genuinely want to quit smoking, then have control over yourself and try having red banana as a substitute. Red bananas have an antacid effect, so if you are suffering from frequent heartburns, then eating one banana daily can give you relief from heartburn. Eat it regularly for a month or so to achieve complete freedom from heartburn, and then continue it regularly so that you never have to face the problem again. Over the time, you get used to its soothing effect. Piles are caused due to chronic constipation and irregular bowel movements. Since red bananas help in regulating bowel movements, they can cure piles. Eat one banana after lunch every day for improving digestion. Kids suffering from constipation can benefit a lot from eating red banana. Usually, health experts do not advise regular use of laxatives to cure constipation in kids. Eating red banana every day is one of the most easiest and natural ways to treat the problem. However, make sure that you make your kid eat it in the natural form and not as a banana shake. Add one teaspoon honey and one teaspoon lemon juice. Mix well and apply on face and neck. Red Banana is rich in potassium, natural oils, carbohydrates and vitamins, which help in softening the hair, and protecting their natural elasticity. This prevents split ends and breakage. Red banana creates manageability, shine, growth and controls dandruff. Just as a red banana facial mask enhances the glow of your face immediately, the following banana hair masks will also improve your hair dramatically. This mask gives miraculous results to hair damaged due to perm, straightening or use of dyes and other chemicals. Simple to prepare, the results are simply stunning. Take 1 red banana and mix it with 1 tbsp olive oil, coconut oil, argan oil or almond oil. Apply this mashed red banana and oil mixture with a hairbrush so that it is applied evenly all over the scalp. Wash with lukewarm water after half an hour. Make sure that the red banana is mashed properly without lumps so that the oil blends properly with the banana mash. Bananas are loaded with potassium, which stabilizes the heartbeat and as well as controls the body’s water stability. During times of higher tension, the body’s potassium levels exhaust swiftly. Consuming bananas is really a healthful method to rebalance them without using medicines. Red bananas contain three types of natural sugars-glucose, fructose and sucrose. When combined with the fiber, these three sugars instantly boost energy levels. According to research, eating two red bananas provide ample amount of energy to your body, which makes you feel positive. Secondly, the tryptophan protein present in the red banana is converted to another protein known as serotonin, which has been known to play an important role in improving mood and making you feel relaxed and happier. Eating bananas in between foods really helps to maintain blood-sugar levels and prevents early morning illness. This is actually the only raw fruit that may be consumed without having stress in over-chronic circumstances. It may also help decrease the level of acidity, and decreases irritation as well. Bananas promote the cell growth within the inner stomach lining to generate a heavier mucous (that safeguards against acid). Furthermore, bananas consist of protease inhibitors, which help remove bacteria within the stomach that are considered the main cause of ulcers. Red banana contains all the vital nutrients, including the fat-soluble vitamin A which is essential for the health of the eyes. So, now are you aware of these red banana health benefits? With all these benefits of red banana, they surely makes it to the top in the super food list! Consume red banana today for a healthier tomorrow! And if you know any other red banana health benefits, let us know. There is a comment box below!